Every job is different, but where appropriate we utilise the Hot Water Extraction (HWE) method to get an unparalleled deep clean in many carpet, upholstery and hard floor cleaning jobs. To use carpet cleaning as an example, the Hot Water Extraction method has many benefits. Firstly, when you get the carpets in your home or business cleaned you want the method used to be safe and environmentally friendly. 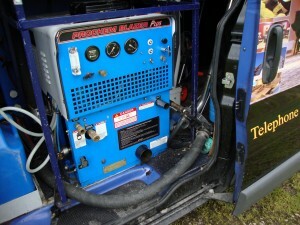 By using HWE we avoid exposing you to the chemicals that other carpet cleaning techniques expose you to. The truck-mounted system cleans deep into the pile, completely rinsing out the cleaning solution used to remove unwanted dust, debris and bacteria from your carpets. The ‘Hot’ in Hot Water Extraction is important because this heat helps to aid the efficiency of the clean along with the high amount of pressure used by the system to clean deep into the fibres and kill bacteria. There are many HWE machines on the market, but we believe our machine to be one of the best. Our device cleans around four times faster than some of the cheaper devices on the market, helping them to provide professional services to customers in a timely fashion. 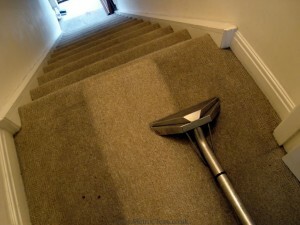 Another advantage of this system that their clients always appreciate is that it leaves carpets and upholstery dry and ready to use in almost no time at all (quite different to some of our competitors who use small underpowered extraction machines which tend to leave your carpets damp for several hours after the clean). Our cleaning machine boasts an incredibly powerful extractor pump and two super efficient vacuum motors containing more power than the standard vacuum motors found in the previous high performance machines put together! It reduces set-up and packing away times drastically so our customers can get back on with their day with minimum disruption. Call our team today for help with your carpet cleaning requirements, do not accepts inferior cleaners that could result in more damage to your expensive carpets, we are happy to offer advice and can provide a quote on request. We are available throughout the Liverpool areas including: Aigburth, Allerton, Belle Vale, Bowring Park, Broadgreen, Childwall, Garston, Gateacre, Grassendale, Hale, Halewood, Hunts Cross, Huyton, Mossley Hill, Old Swan, Speke, Wavertree, Skelmersdale, Burscough, Southport.